With this recipe I wanted to not only make a thick and creamy hot cocoa I also wanted a thick frothy foam to form on top, mimicking melted marshmallows. This recipe accomplishes that. You will see a frothy foam form on top as you are mixing it. Even more so than in the photo. I had to take some of the foam out so that the cocoa would show through. I recommend that you use Thai Kitchen's Pure Coconut Milk. It has no chemical additives or preservatives like some other brands. The calorie and nutritional information is for the recipe using sugar. If you use agave in place of sugar, calories will be 236 per serving, the sugar 17 grams, carbs 13 grams and the fat, fiber and protein remains the same. Want to know what others thought about this recipe? Would you like to comment on this recipe? Go to the Vegan Hot Cocoa blog entry. You can make this two ways. One is by placing all the ingredients into a large saucepan and with an immersion blender, blend everything together for 3 minutes. We want to whip air into it, so it's important to do it for at least 3 minutes. If you don't happen to have an immersion blender, you can throw it all into a standing blender and do the same and then pour it into the saucepan. 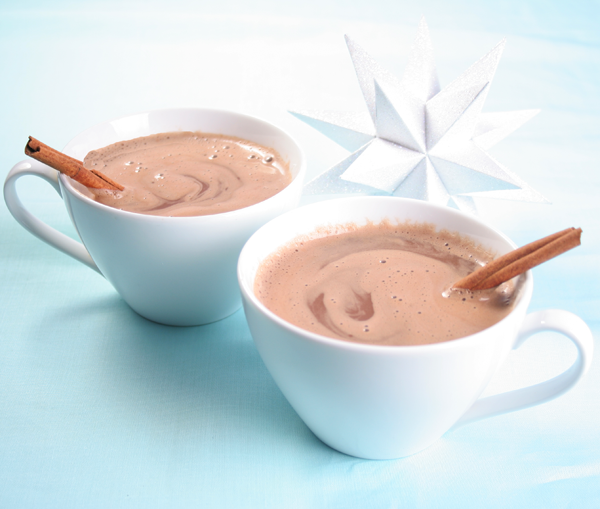 On Medium-high heat stir the cocoa until it almost comes to a boil. 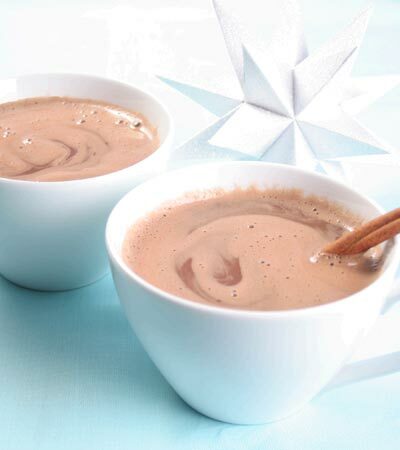 DO NOT boil the cocoa, it will change the consistency too much. Turn down to simmer and serve.